Competition paintball is fun whether you are new to the hobby or a seasoned veteran. This will challenge just about any player who would like to compete at a tournament level of play. If you haven’t ever thought of doing this before, you might want to organize an event soon. You can find all the support you need at Action Packed Paintball Games. This is a top rated facility that is located near Minneapolis. When you think about competition paintball, you will inevitably want to find arenas that can support these events. 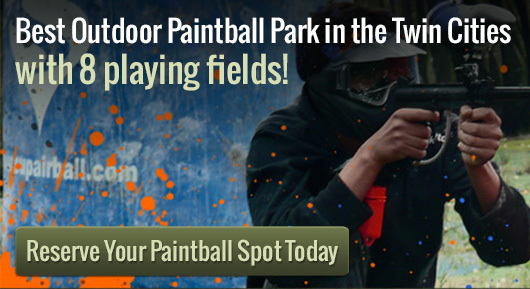 This is exactly what you can expect when you work with Action Packed Paintball Games. This center has set up multiple different arenas, which can help people get linked up with the right one for their competition. Standardized tournament events may best be played in the city setting arena that is set up at this venue. This center also has a forested area, which can be the perfect place to set up a jungle themed tournament event. Think about working with the friendly staff at this center, which can help you book these games. If you haven’t ever been involved in a competition paintball event, think about working with the employees to help you get adjusted. They might recommend that you get started as a walk on player. Many tournaments are looking for another player to help even out their teams. This center will also be fully equipped to help people get started with their competitive paintball event. They can provide refills for paint balls, or help restore CO2 canisters. This will keep play running smoothly throughout the tournament. Some players might also be interested in checking out the selection of paintball guns that they sell through their store. There are even indoor bathrooms and concessions for players to use between games.